The furor over Victoria’s MoU with China overlooks that – in Beijing’s eyes – the BRI is already at work in Australia. 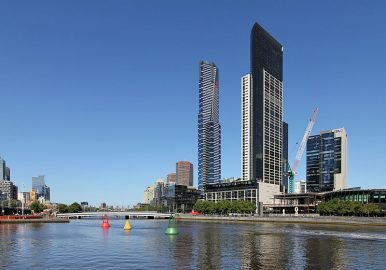 The Victoria state government’s decision to sign a memorandum of understanding (MoU) with China on the Belt and Road Initiative has alarmed some. However, signing an MoU is no big deal. It should be viewed as a natural extension of Victoria’s strong trading relationship with China and not a fundamental change in policy. This is primarily because, despite Australia not officially “signing on” to the initiative, Chinese firms are already participating in numerous Belt and Road projects in Australia. The Australian media has framed the country’s participation in the Belt and Road markedly different from Chinese sources. Chinese companies, provincial governments, and media routinely list any kind of outbound foreign investment by a state-owned enterprise or Chinese private company as a BRI project, even if the host country is not yet a BRI country. From this point of view, Australia is already participating in the BRI. Former Australian Trade Minister Steven Ciobo himself has admitted that large investment projects from Chinese firms, such as the Port of Darwin or the controversial AU$400 million (around US$290 million) Australian Legend World theme park in Queensland, could be considered Belt and Road projects. Other examples abound. In real-estate, the Silk Road Information Service, a product of state-backed Xinhua Media, lists an AU$630 million dollar project on the Gold Coast, financed by two Chinese construction conglomerates, as a BRI deal. In finance, the Bank of China’s issuing of AU$3.2 billion worth of “Belt and Road bonds” via several international branches, including Australia, was classified as a Belt and Road deal. Similarly in solar energy, Chinese firm Risen Energy’s AU$160 million dollar acquisition of Western Australian solar farm project Merredin has been noted as a BRI deal. This is all not to mention the abundance of MoUs Australian firms and organizations have signed with China on mining, cloud computing, and fintech cooperation that are classified as BRI deals. In September, Australian data analytics firm Invigor Group signed an MoU with Winning Group (a partner of Chinese giant Tencent) to develop WeChat Pay in Southeast Asia. In October, Alibaba Cloud formed a partnership with Australian firm NextDC to provide cloud computing and data services for Australian firms in Asia. In January, Chinese state-owned enterprise Sinosteel inked an MoU with BCI Minerals on a project in the Pilbara, while in June China’s Win-Win Development Group signed an MoU with Western Australia’s Vanadium Limited. The Australian government may not have signed on to the Belt and Road, but Australian businesses are already helping to build it. It is also worth noting how the MoU might affect trade and investment decisions by Chinese bankers. The fact that Victoria has signed an MoU, a fact widely reported in Chinese media, will make it much more politically viable for mid-level Chinese cadres to receive government approval for trade and investment deals in Victoria. Victoria would particularly want this from sister-states Sichuan and Jiangsu. As Peter Cai has noted, Chinese bankers are annoyed at having to sign off on debt-laden projects in risky BRI countries; they will rejoice at being able to invest in Victoria. Potential risks to national security from BRI deals with China should not be ignored. But Victoria’s break from the federal government’s position on the BRI will not affect this. Just like any normal trade or investment deal signed between Australia and China, Victorian BRI deals will be subject to assessment by the national Foreign Investment Review Board. Similarly, an MoU does not bind companies or governments to action. If a Victorian company decides to help build a project in a third country in a way that hurts Australia’s national security, there is room for the government to persuade the firm and avert this scenario. Jacinta Keast is a Research Assistant at China Matters, an Australian public policy initiative. She is also a member of the Young China Watchers Global Editorial Team. What Is China's Meddling in Australia Actually Buying? Of all major liberal, multi-party democracies, Australia may be the most exposed to China.